"Peace, be still" is what Jesus said when he rebuked the storm on the Sea of Galilee. Jesus and His disciples were headed to the other side of the sea (Mark 4:35), from where He taught the parable of the sower to the great multitude (Mark 4:1-34), when the storm arose. ... rebuked the wind, and said unto the sea, Peace, be still. And the wind ceased, and there was a great calm (Mark 4:39). 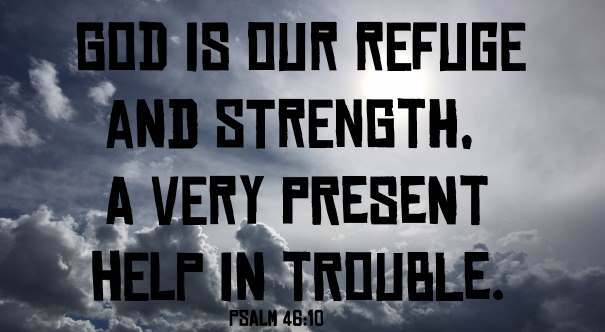 As Christians, we go through "life's storms" on a regular basis. Many times these storms are ones that just seem calamitous, but in many cases they are real calamities that we have to get through. How do we transcend from the calamity we are dealing with, be it one that we have conjured up in our minds, or one that is real, to "Peace, be still", being able to take comfort that Jesus really does care about us and will get us through this present storm and every storm we encounter in our lives? and He said unto them: Why are ye so fearful? how is it that ye have no faith (Mark 4:40)? 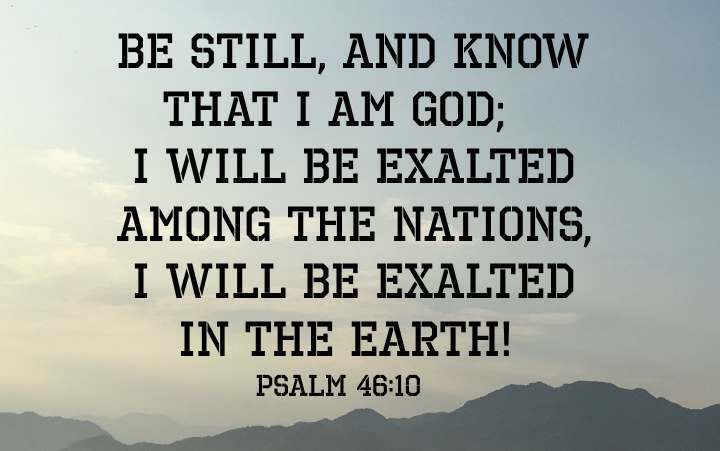 The Psalmist summed all of this up in Psalm 46:1-11 NIV.